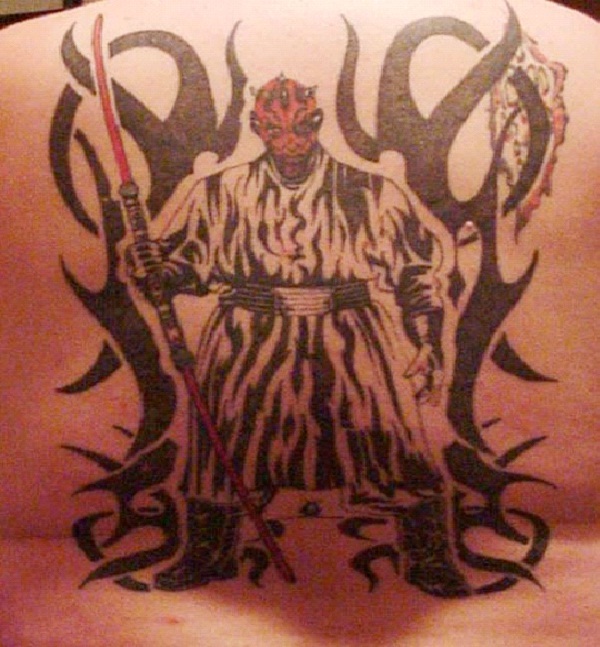 One of the scarier looking characters in film, this guy really makes for great body art. Placing him on top of some tribal design certainly gives this piece a greater dimensional feel. With a little darkening of the black work this will really come alive. Tattoos and stars definitely make for a fun night out.